Low view of the right side. 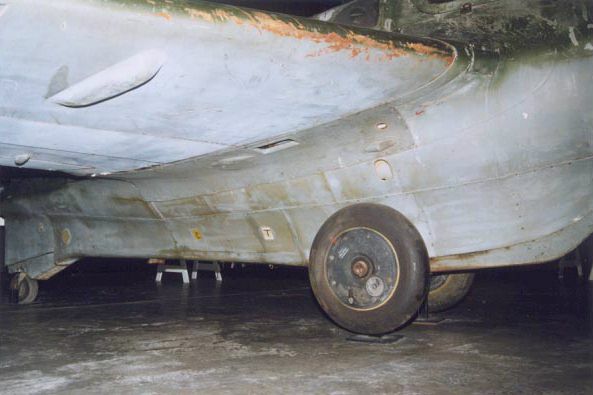 The lower surface of the wing looks in good condition. The flap can be seen retracted in its well. The cartridge ejection slot is clearly visible.